A 66-second ISIS video purports to show the beheading of Japanese reporter Kenji Goto, a gruesome end to a week of failed negotiations. 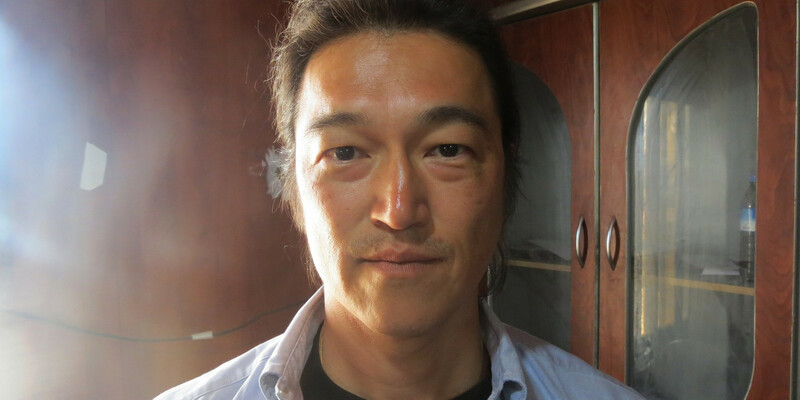 There was no immediate comment from Japanese or U.S. intelligence officials, but the video appears to show the detached head of the 46-year-old reporter who was captured late last year by the terror group while on assignment in Syria. The video, titled “A Message to the Japanese Government,” begins with Goto on his knees in a river valley. A masked man with a knife in his hand speaks with a British accent, addressing Japanese Prime Minister Shinzo Abe. “Let the nightmare for Japan begin,” the executioner says as he puts a knife to Goto’s neck. “The United States strongly condemns [ISIS’s] actions and we call for the immediate release of all remaining hostages. We stand in solidarity with our ally Japan,” spokesperson Bernadette Meehan said. Before his death, audio messages from Goto were published online by ISIS last week, relaying ISIS’s offer to free Goto, but only if Jordan released a convicted female al Qaeda member, Sajida al-Rishawi, from death row. If the Jordanians did not release al-Rishawi, ISIS said through Goto, then Goto and a Jordanian pilot also held captive by the terror group would be killed. The Jordanian government publicly said they would release al-Rishawi, but only in return for the pilot. Al-Rishawi has been in prison for a decade for her role in an al Qaeda bombing attack in Jordan in 2005 that killed dozens, including many at a wedding party. ISIS set a hard deadline for al-Rishawi’s release for sunset on Thursday, but the Jordanians didn’t budge, saying ISIS had not provided proof of life their pilot was alive. Amid the tense negotiations, top Japanese officials had said they were working closely with Jordan to find a way to gain freedom for their citizen. The status of the Jordanian pilot is unclear, but Goto now joins a number of Western civilians, and scores of locals who were murdered by the terror group. What are you doing on May 12? Save the date. The White House Initiative on Asian Americans and Pacific Islanders invites you the White House Summit on Asian Americans and Pacific Islanders in Washington DC. The Summit will feature panels, workshops, and armchair dialogues with senior Administration officials, AAPI celebrities, and well-known community leaders, plus performances by distinguished AAPI artists. The Summit is part of a series of events happening May 11-15 during AAPI Heritage Month in Washington, and provides a unique forum to actively engage with hundreds of AAPI leaders from across the nation. Previous AAPI Heritage Month speakers have included President Obama at the 2013 White House Celebration and Vice President Biden at the 2014 Opening Ceremony. Programming details are still coming together, but more information on the Summit will be available in the coming months. 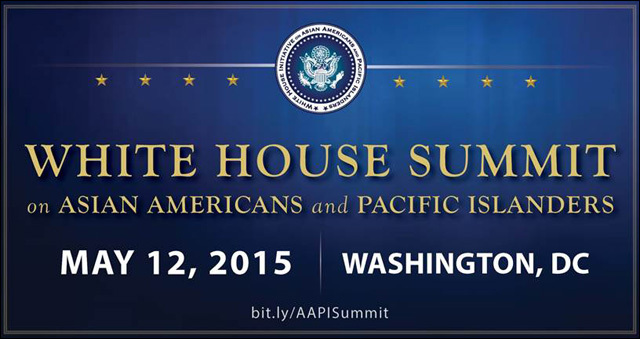 In the meantime, visit the Summit website or subscribe to the weekly White House AAPI email newsletter. For further questions, email whitehouseaapi@ed.gov. Here’s a photo from last week’s White House concert “Women of Soul“, in which Tessanne Chin and Taku Hirano performed. Hailing from Kingston, Jamaica, Tessanne Chin was the most recent winner of The Voice, and performed alongside Patti LaBelle, Melissa Etheridge, Ariana Grande, Jill Scott, and Janelle Monáe. Taku Hirano, creator and founder of Team-Yellow was part of the house band backing all the artists. The country of China, including some of its top leaders, can’t get enough of the Netflix drama “House of Cards,” The Washington Post’s William Wan reports. And according to Sohu (via the Post), most of China’s 24.5 million views of Season 1 of House of Cards came from government-sector employees and residents of Beijing. The state-run Xinhua News Agency wrote last week that “a large number of government and enterprise executives and opinion leaders also strongly recommend” the show. One top government official who is reportedly a huge fan of the show is Wang Qishan, the Secretary of the Central Commission for Discipline Inspection and considered one of the top seven leaders in China. Wang Qishan, one of the seven most powerful leaders in China, is said to be particularly captivated, according to reports in Chinese media and officials with ties to his department, who asked to speak anonymously. Much of the second season of “House of Cards” revolves around China-heavy plot lines, featuring tension among Vice President Frank Underwood, President Garrett Walker, the Chinese government, and a corrupt Chinese businessman trying to influence the White House. Are you now, or have you ever been, a shill for Coca-Cola? A conservative think tank denounced Tuesday a nutritional advocacy group for its attacks on Olympic figure skater legend Michelle Kwan for being a pusher of soft drinks while sitting on President Obama’s fitness council, while the group doubled down on its position. “Allowing makers of sugar drinks or junk foods to rent Michelle Kwan or other council members is unacceptable,” said CSPI director of health promotion policy Jim O’Hara. “Michelle Kwan’s Coca-Cola endorsement does not suggest consumers drink too much soda. If anything, it conveys that people who do enjoy soda, can do so in moderation while also avoiding a sedentary lifestyle,” Mr. Stier said. A spokesman for CSPI pointed to the council’s own guidelines on Tuesday in response. This was because “presumably reporters have been less likely to cite the [group’s] role in the years since the Abramoff scandal,” he said, referring to disgraced lobbyist Jack Abramoff, who resigned from the group’s board of directors in 2004. Neither the White House nor Coca-Cola responded to requests for comment Tuesday. President Barack Obama said on Friday will nominate Todd Sunhwae Kim to serve on the Court of Appeals for the District of Columbia. The president said he was confident Kim could take over successfully for former Judge Kathryn A. Oberly. The D.C. Judicial Nomination Commission initially accepted 11 applicants for the position in October 2013, and narrowed the number to three potential candidates in December 2013. Kim currently serves as the first Solicitor General for the District of Columbia, a position to which he was appointed in 2006. Todd Kim received his undergraduate degree in biology from Harvard College in 1995 and his law degree from Harvard Law School in 1997. As the first Solicitor General of the District of Columbia, Kim oversees appellate litigation for the D.C. Court of Appeals, the U.S. Court of Appeals for the District of Columbia Circuit, and the U.S. Supreme Court. Prior to his appointment to Solicitor General, Kim served as an appellate attorney with the Justice Department’s environment and national resources division, practicing extensively before each of the 13 federal appellate courts. 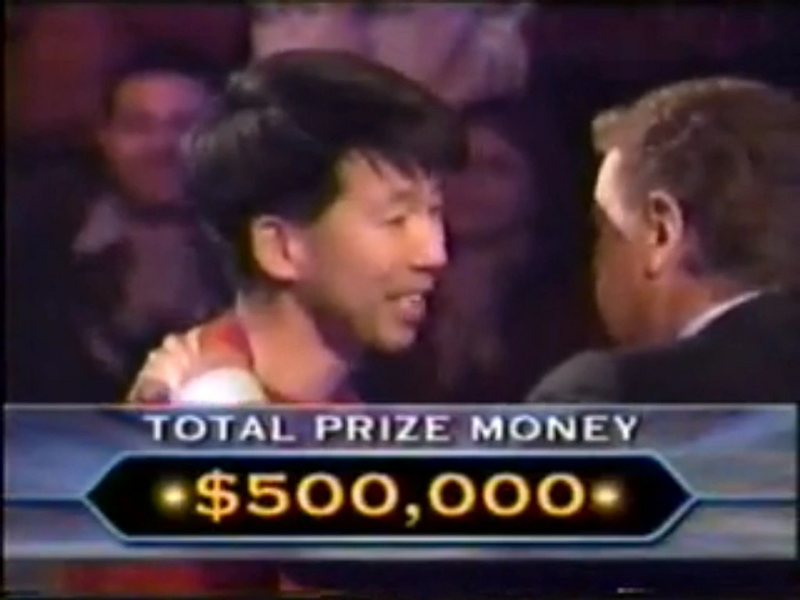 Kim was the first contestant on the ABC game show Who Wants to be a Super Millionaire in 2004, on which he reached the million-dollar question but decided to walk away with $500,000. 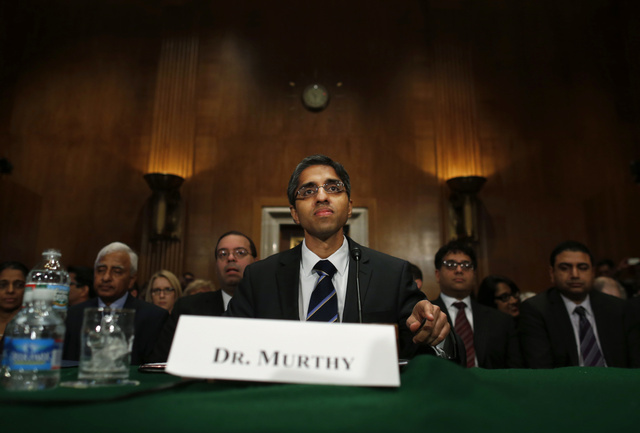 Vivek Murthy has three Ivy degrees and teaches at Harvard Medical School. He’s likely the next surgeon general of the United States. He’s an Indian-American. And in this video from his confirmation hearing yesterday, Sen. Pat Roberts (R-Kansas) wants him to know that his people are just wonderful! Thank God Roberts knew some Indian doctors. This could have been really awkward if he’d just fallen back on the time he stopped in a Sunoco outside Wichita and met that nice young cashier.